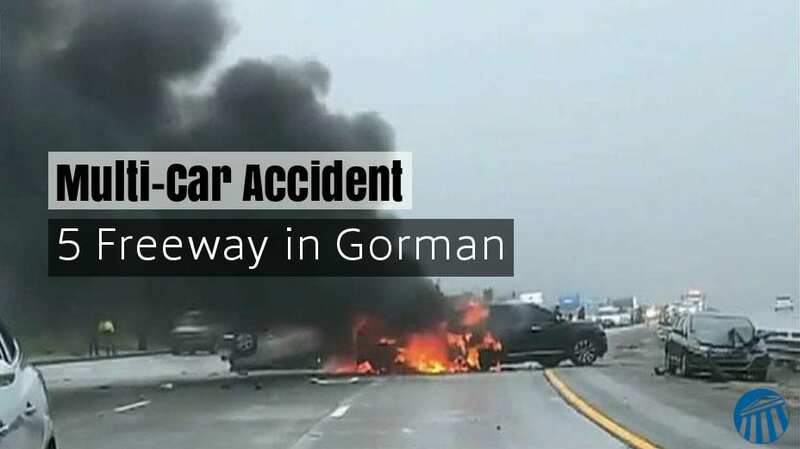 A multi-vehicle crash caused a fiery crash on the Southbound 5 Freeway in Gorman, California on Saturday March 23rd. The crash caused dozens to be injured and a pile up of traffic for four hours. It caused a series of accidents and fires were raging. At Least 30 vehicles were involved in crashes in the reportedly miles long accident. California Highway Patrol officials say dense fog led to the multi-car pile-up. Unfortunately the crashes left several people injured including, more than two dozen people injured and one child was taken by helicopter. Authorities warned people to expect long delays and seek alternative routes, if possible. According to the California Department of Transportation, all lanes on the 5 Freeway in Gorman were finally reopened on Saturday, just slightly before 7 p.m. The fog caused low visibility and made it difficult for drivers to see the cars in front of them. People explained that there was a lot of screeching to a stop and veering to avoid hitting stopped cars. Photos and videos of the terrible crash spread rapidly throughout Twitter. It showed vehicles on fire and dozens of cars damaged from the crashes. Neighboring counties were on the scene to help along with paramedics, firefighters and police officials. When driving through low visibility situations like fog, rain or snow, be sure to drive very cautiously to avoid getting into an accident. Make sure your lights are on and proceed with caution. Taking simple and minor steps can help avoid collisions!